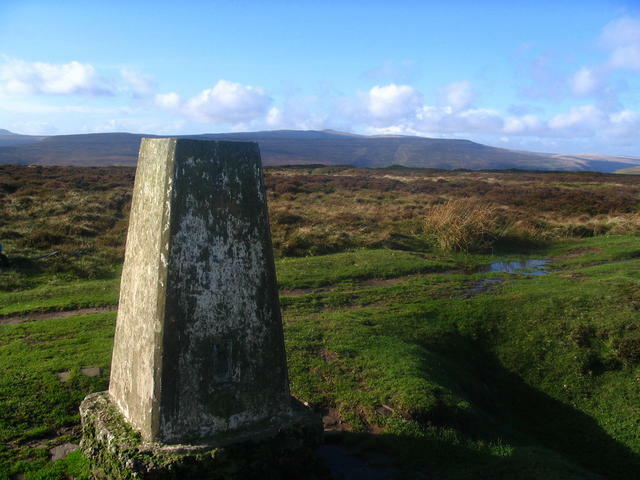 Along the ridge from north daren. 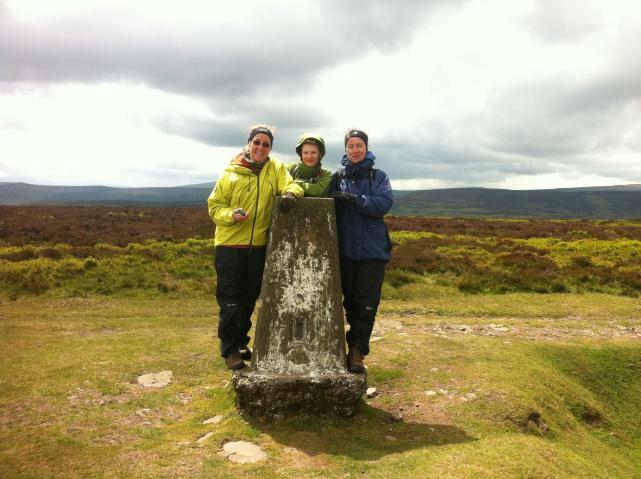 3/5 on circular walk from Gospel Pass via Llanthony. 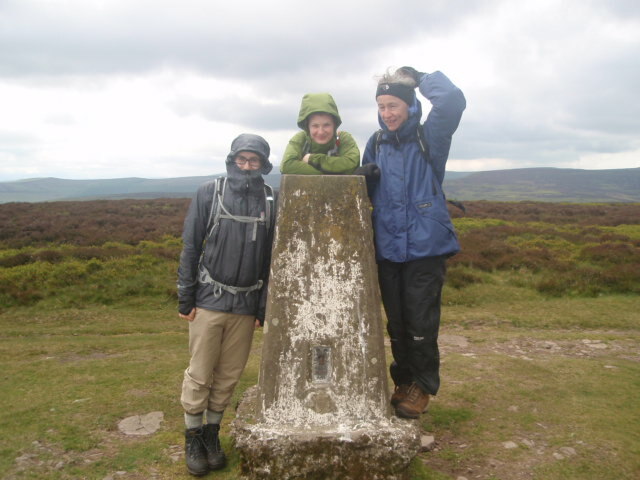 Stiff climb from Llanthony abbey to crest of ridge to gaze east down onto the softer lands they call England. 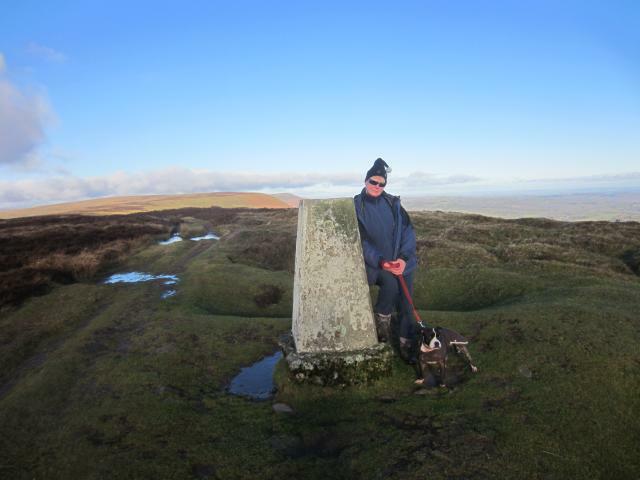 Glorious day for a walk along Offa's Dyke path from Hatterrall Hill. 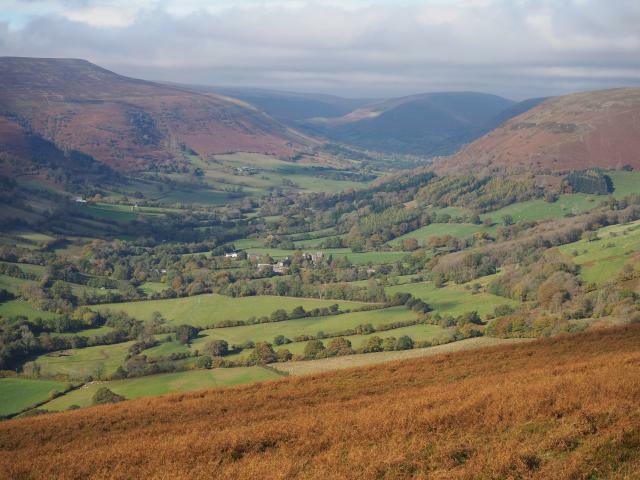 Great views of Llanthony Abbey down in the valley. I've been there many times but never seen it from this viewpoint. The return walk was just as good. 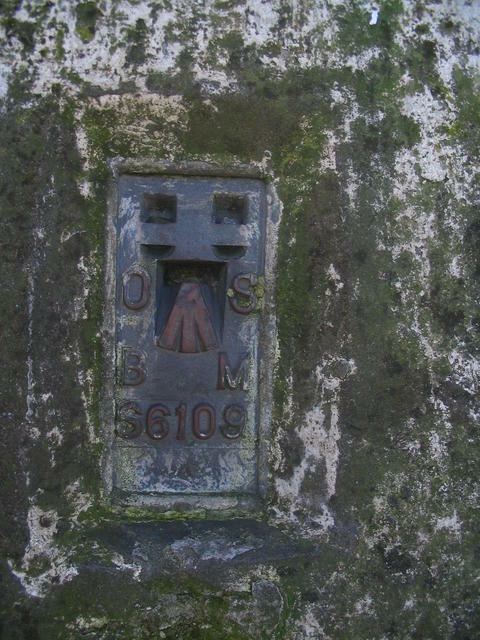 Spider centre open, remains of a plug evident. 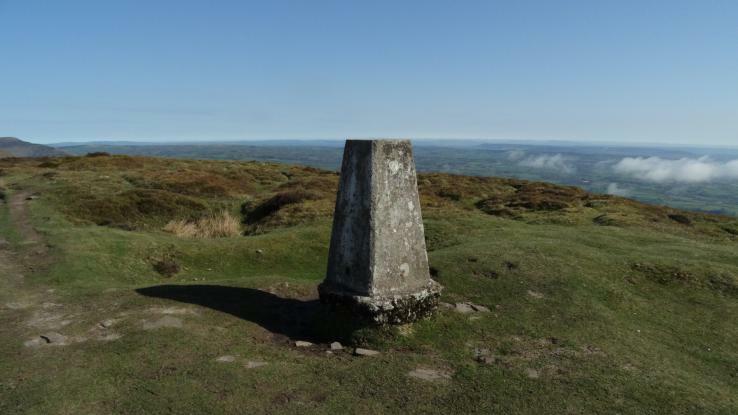 Fantastic views of the Brecon Beacons and all the various peaks, on a cloudless day. 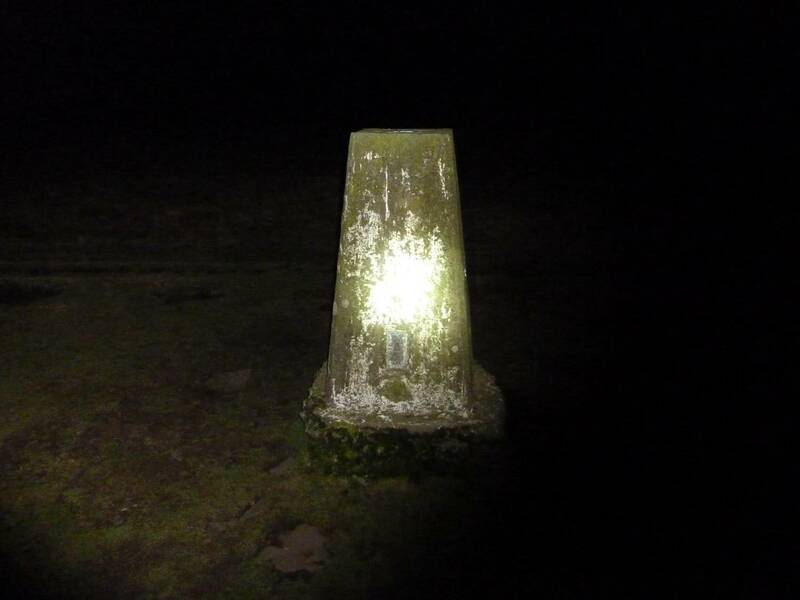 Started out in fog from Longtown village Hall car park and ascended via Cayo Farm then inclined path to ridge. Supurb cold air inversion towards SE. 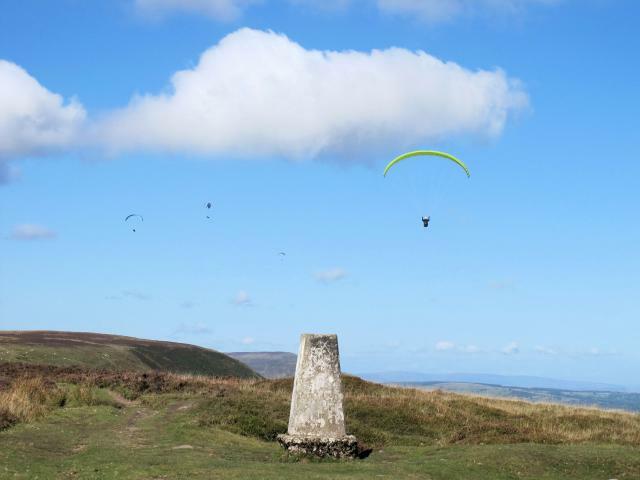 Vale of Ewyas was fog free. 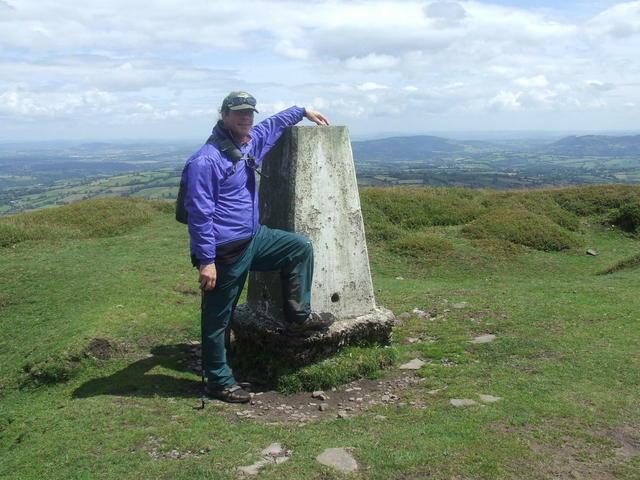 Heading north on Offa's Dyke Path next. 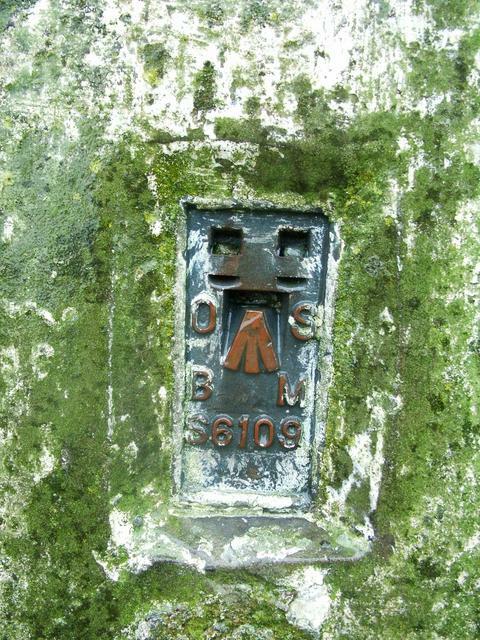 Bagged as part of a 21 mile 6-trig circular walk. 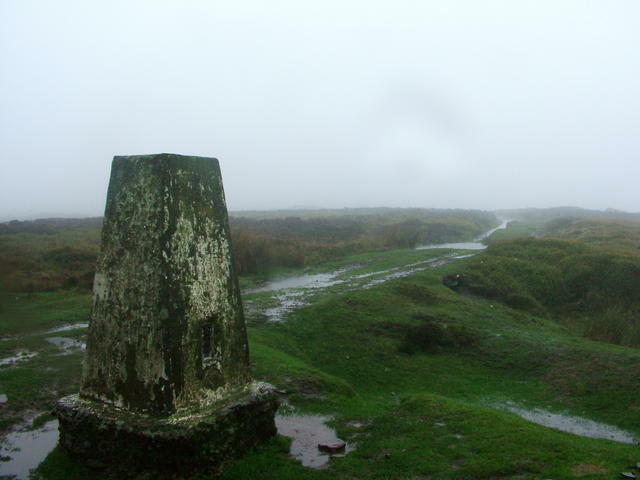 Approached from North Daren. Descended down the steep brackeny hill back to the car at Llanthony Priory. 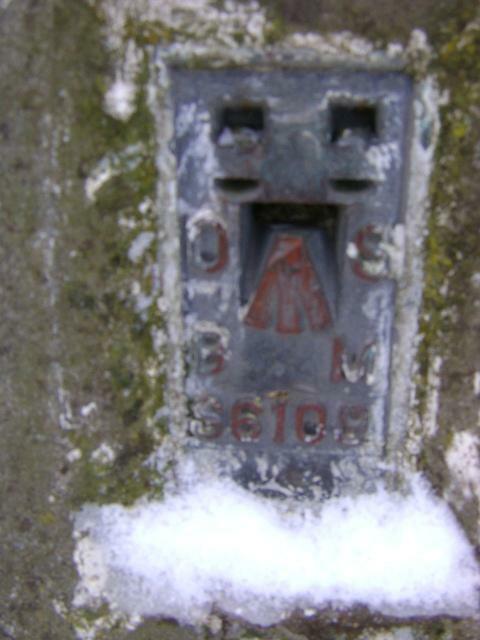 Pillar in good condition with plug missing. Base exposed. Good views. 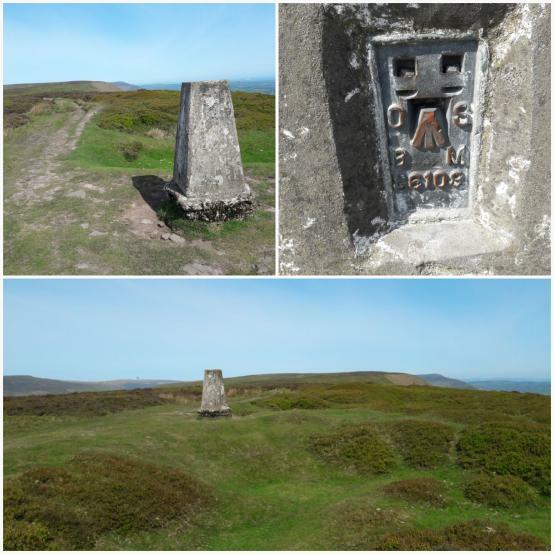 Walked from Hatterrall Hill along the ridge great walk. 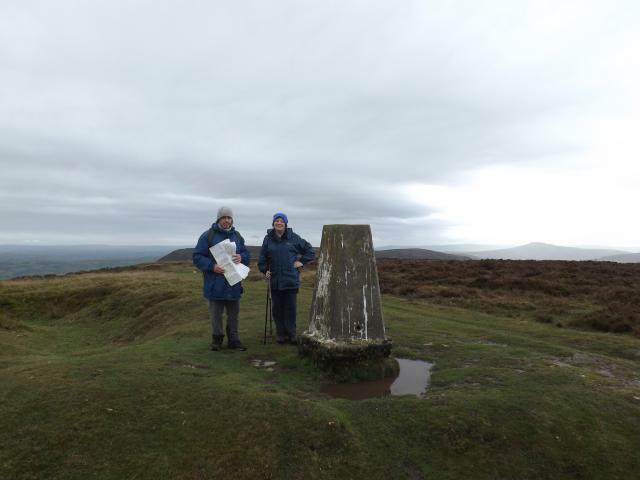 ODP#4: wonderful walk onwards from Hatterrall Hill trig along the ridge, despite it being very windy indeed, and overcast skies - watched the showers track across the Black Mountains but fortunately they all missed us! Great views east over Herefordshire. 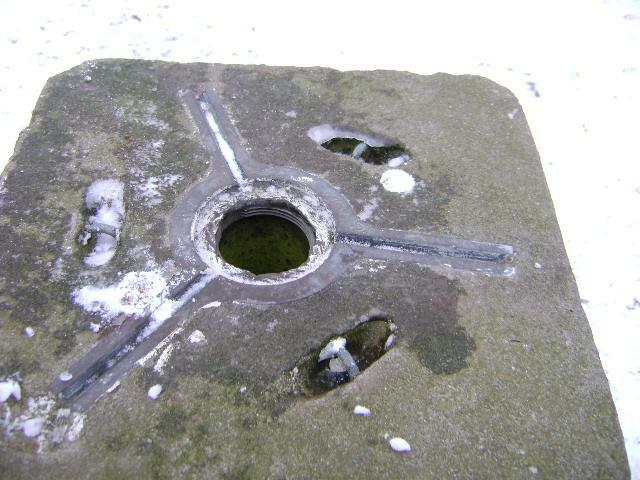 Centre, and N and W s/holes open, significant erosion round base, but the pillar itself is sound. 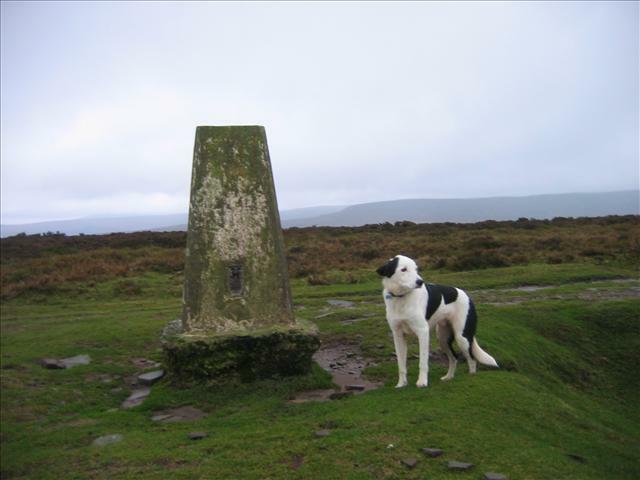 Bagged this trig point as part of a cracking circular walk from Llanthony. Stunning views. 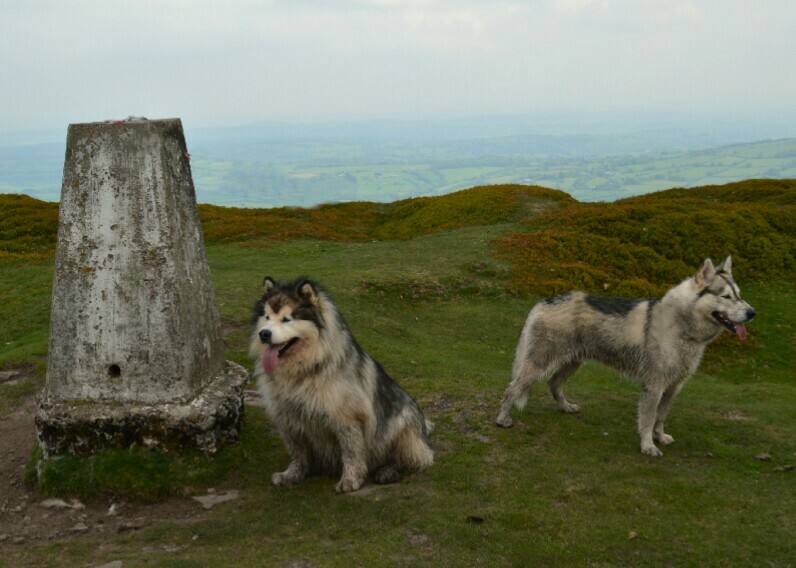 A good walk along the ridge this morning. 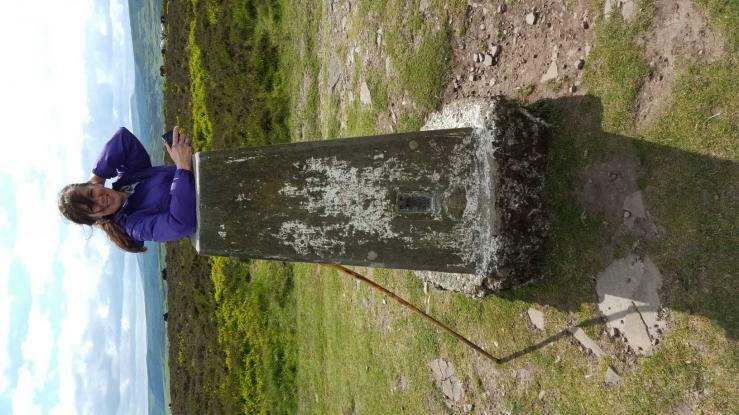 A lovely spot for a trig! 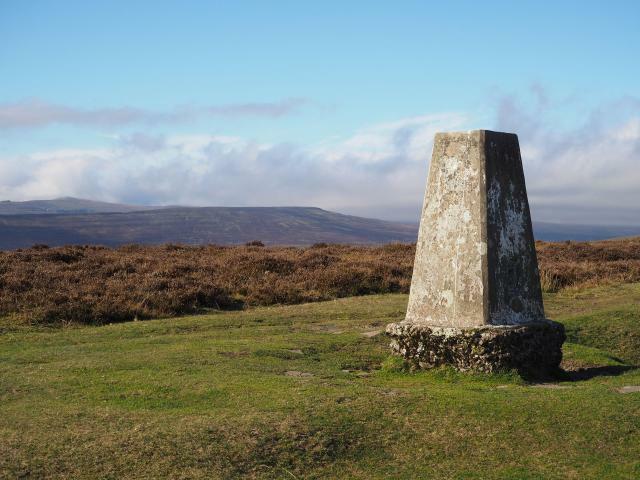 Circular walk from Llanthony. 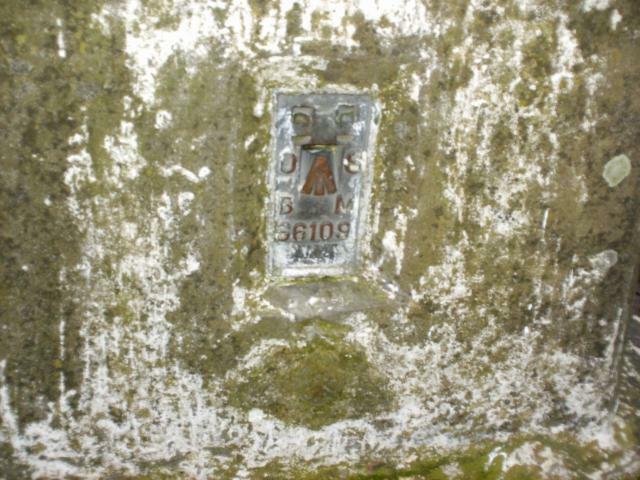 Pillar in good condition with exposed base and vestiges of white paint job remaining; cap missing, no plug; 2 sight holes open. 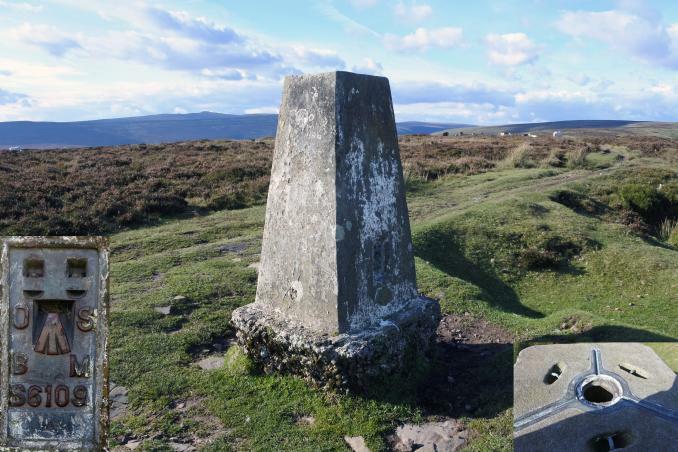 Extensive 360deg views. Went past whilst out for a jog in the area. Revisit. Came up from the south. 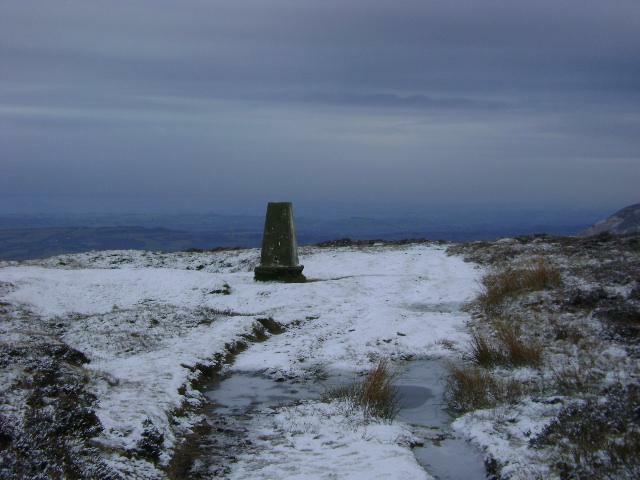 Weather conditions far better this time, despite the snow. Great views east over Hfds. 2nd of 3 today. Tempted to carry on north to the Darren trig but too concerned about the time. 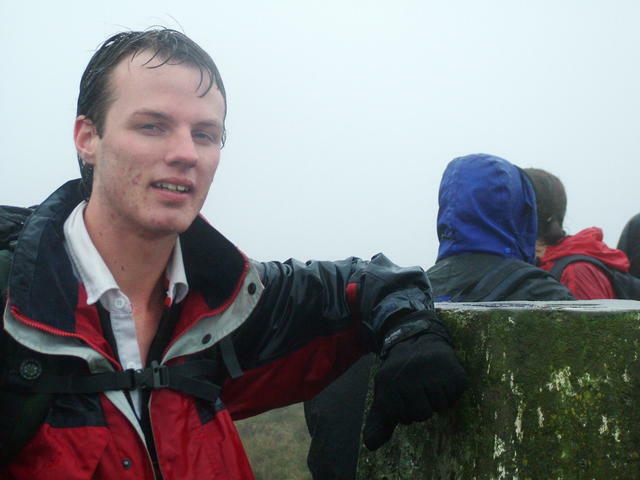 Very windy and hard to stand upright. 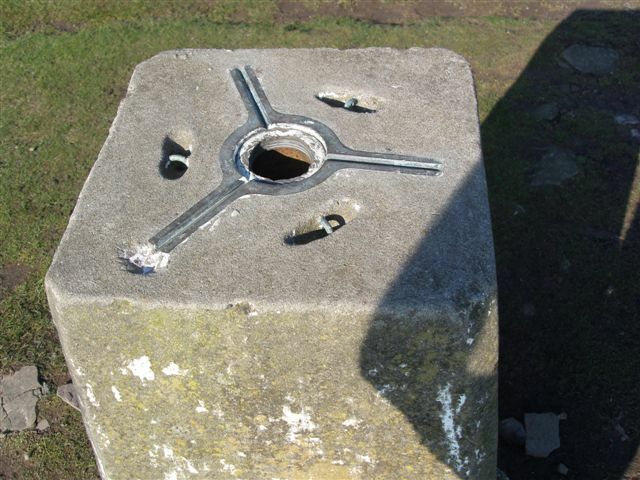 Trigpoint is eroding out of the ground and will presumably topple in a few years time. Plug is missing but otherwise OK. 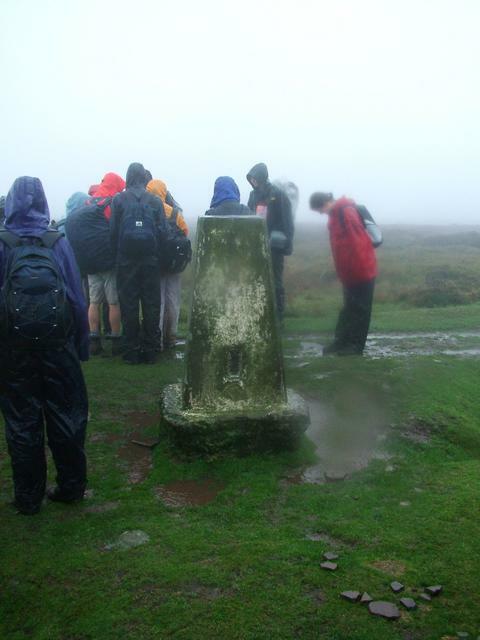 The trigpoint is eroding out of the ground. 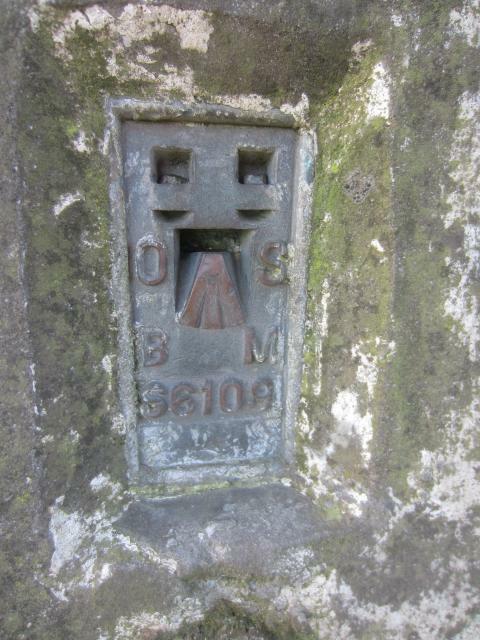 Found when heading south along ridge. Good condition. 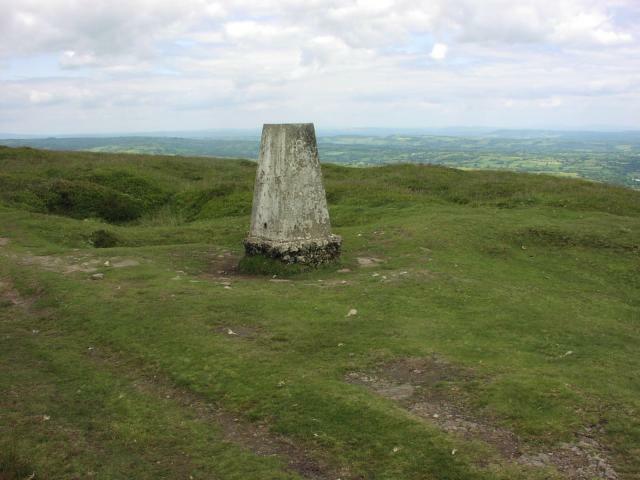 Walking south from Hay Bluff. 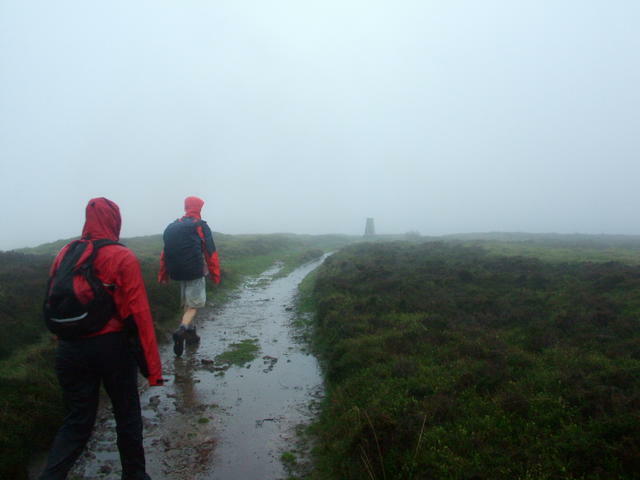 Mist/rain/cloud. Low visibility. Great fun. 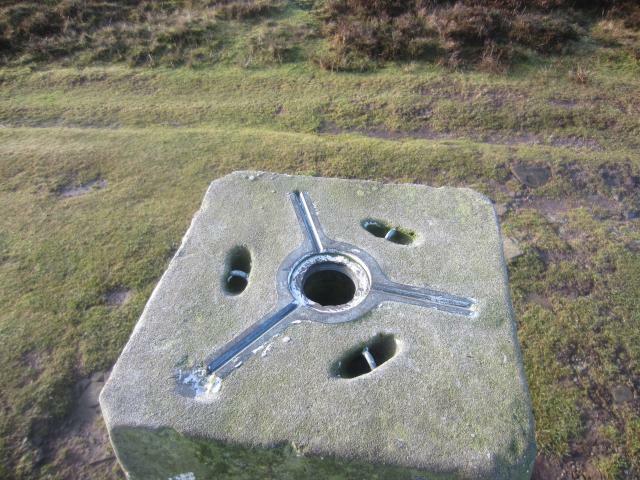 Visited on my second ridge walk of the day whilst Geocaching. vgc, except for exposed base. No cap or plug. 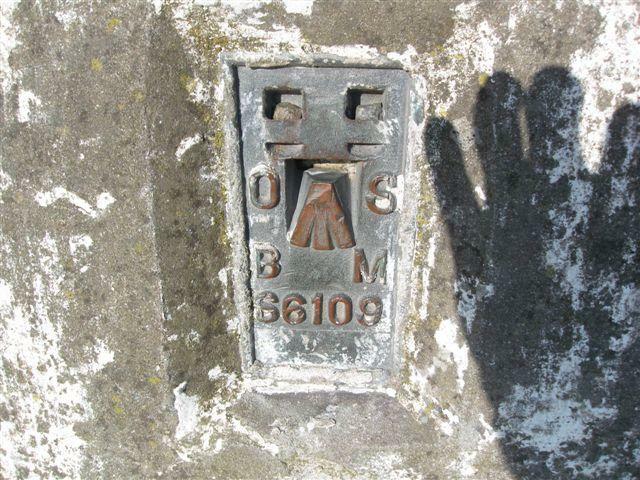 Nice summit, gorgeous view. Quick steep climb from NNW. 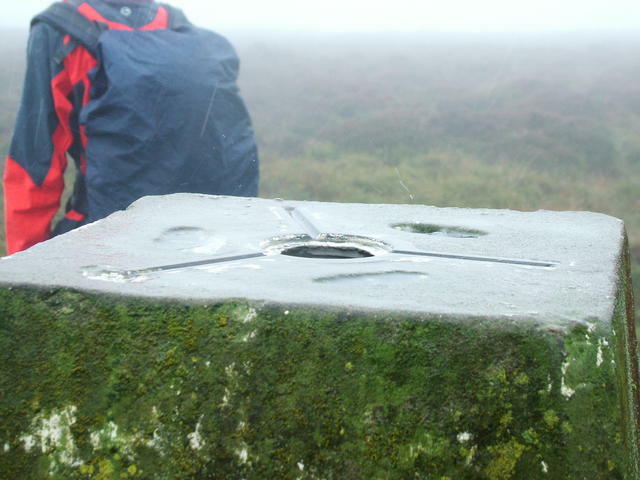 Part of a walk bagging all 3 trigs on the ridge, up to North Daren. Not a soul up here today. Weather to the east is great, but to the west very black. Good views. Got here in really bad weather, so didn't stay around for long. 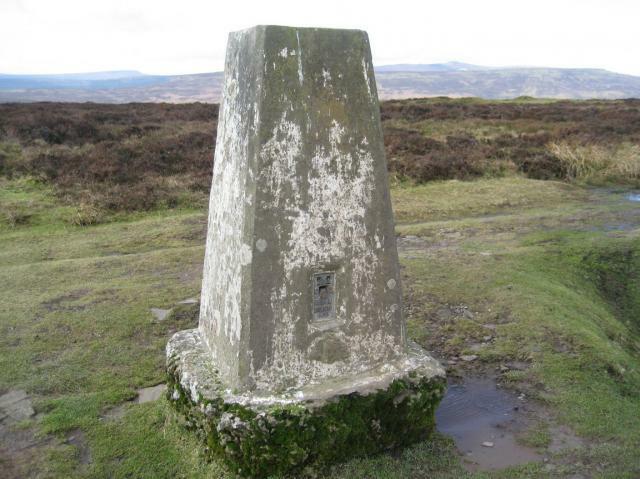 But quite easily accessible.. just along a path on Offa's Dyke and it's on the border of England and Wales. 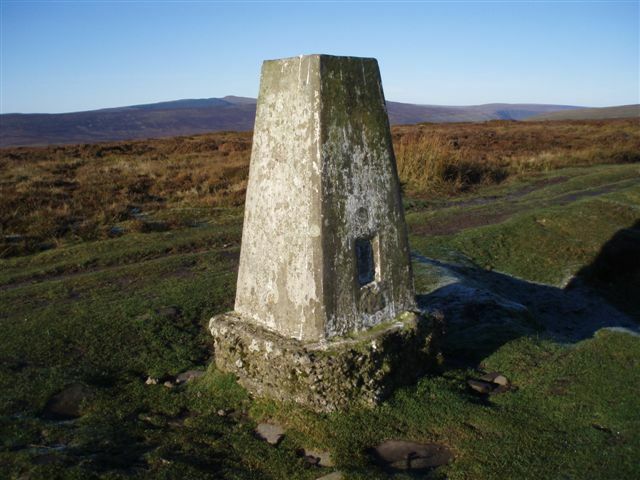 Having a good day so far weather holding which is a big bonus up here both for views and walking conditions,pillar comands fine views all around. 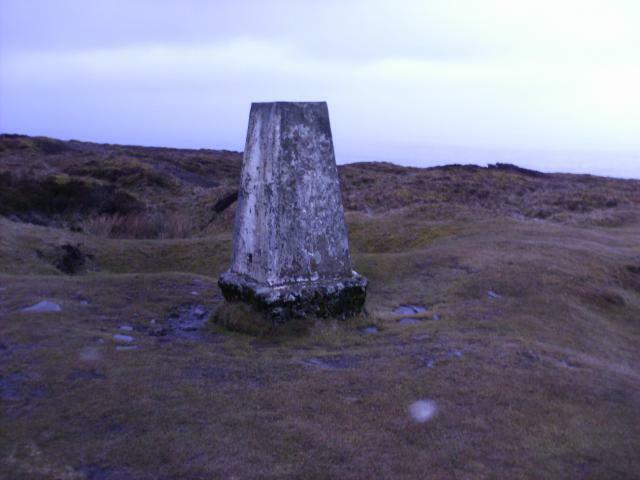 Left bike at Red Daren and did a circuit to get this trig and the one further north along the ridge. 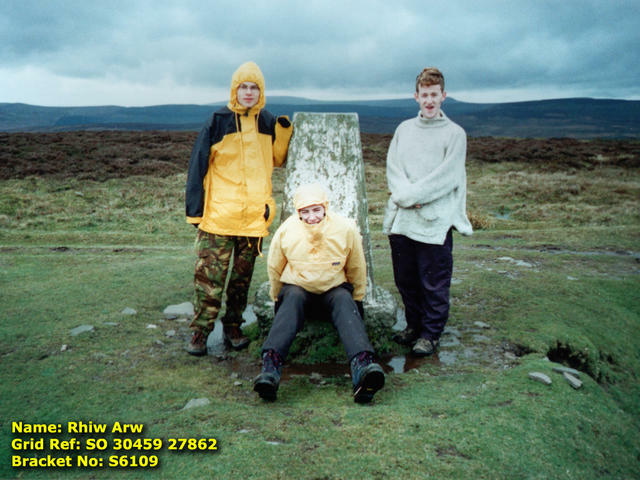 Would have scored higher if the visibility had been better, but probably nowhere else in England or Wales where you can walk for so far and so easily at 2000ish feet and have to do so little ascent. 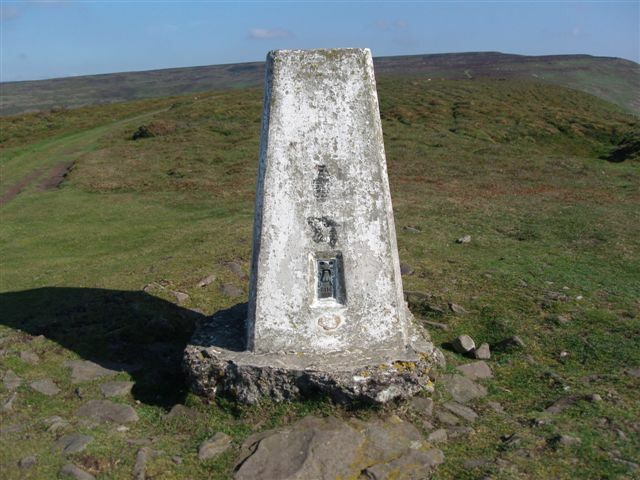 As this trig appears to be bang on the border, I counted this as at least half a Herefordshire trig, in which case it represented my penultimate one out of all Herefordshire trigs. Unfortunately the database only recognises the existence of Hereford and Worcester (spit!) as a county so I still appear well short of 100% completion on that count. 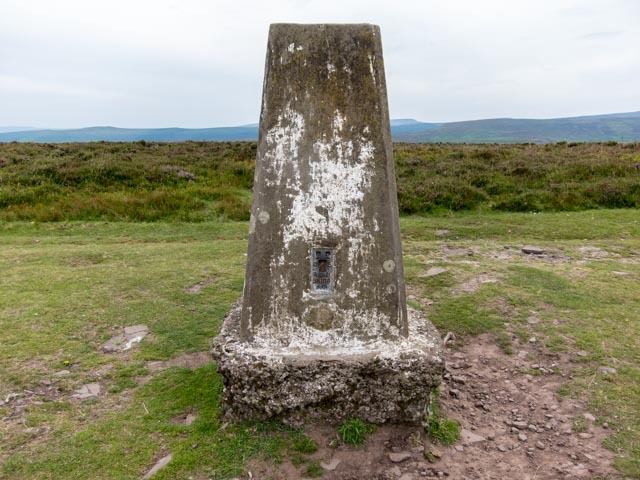 I came to walk the horseshoe of five 2000feet mountains, a walk that was supposed to start further up the valley at Caper-y-ffyn, but I decided to add to the walk by taking in some of the outlying trig points and therefore started at Llanthony. 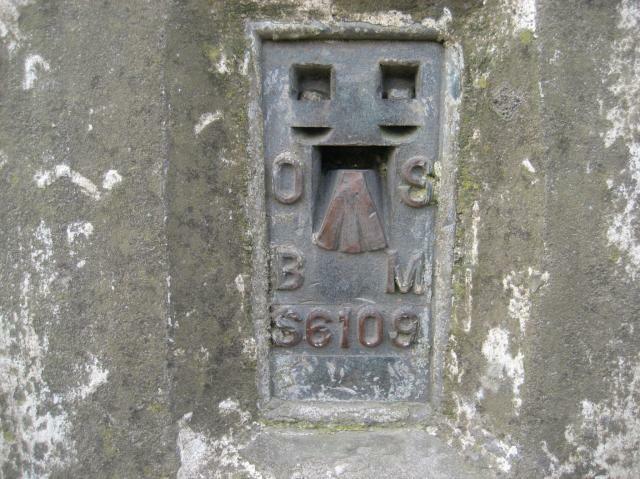 It was not till I got back and measured the map did I realise that this enthusiasm made what was originally going to be a 14 mile walk into a 23 mile walk. I made a bit of a pigs ear of the climb from Llantony and ended up coming up though a steep bracken slope with undefined paths. Great views all around the horseshoe and well worth it. 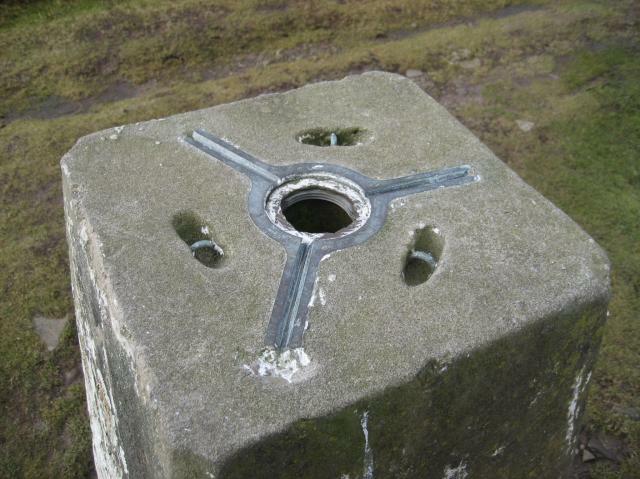 This trig is in reasonable condition though the base is eroded and the plug missing. So puffed was I that I forgot to take a photo. 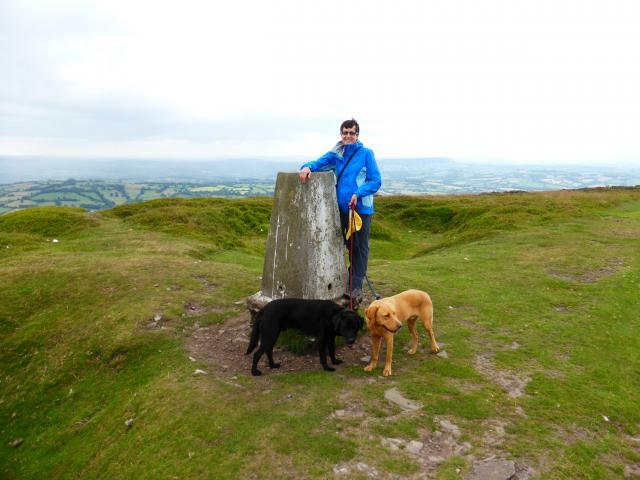 Walked up from Llanthony Priory during a visit to the Black Mountain. A long day ahead. Not sure of the exact date but was on a walk along the Cat's Back on the day of the Arsenal Hereford FA cup replay(They won 7-2). You get a good haul on this boggy ridge, now tamed by slabs. 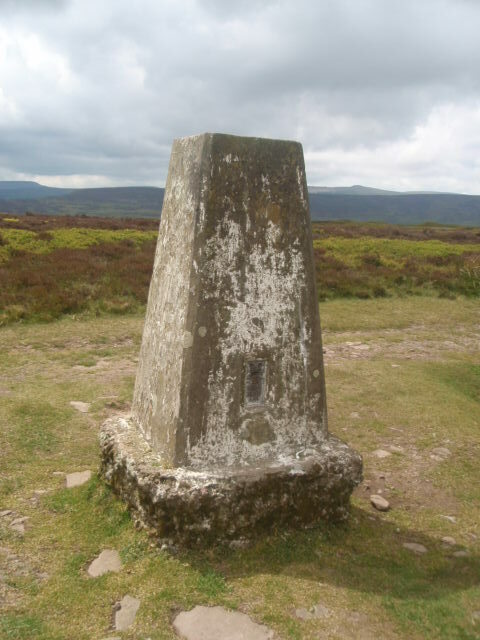 Visited during Offa's Dyke Path walk.